"He who controls the spice controls the universe." ― Frank Herbert, Dune. Transform your Xbox, PS1, PS2, PS3, PS4, or Aimpad controller into a powerful, intuitive and fun MIDI controller. 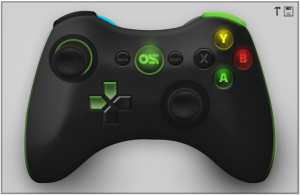 Officially supports Xbox 360, PS1, PS2, PS3, PS4 and Aimpad controllers. Standalone and VSTi in 32 and 64-bits. Run it Standalone or in a DAW that supports it. 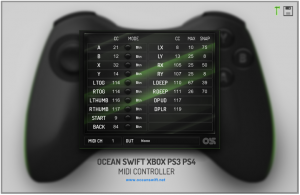 Control any MIDI capable Hardware or Software. Control up to four physical controllers at once. Clean, clear, simple and focused. In order for the device to work as a VSTi plugin the hosting DAW must support MIDI plugins! We recommend using the standalone version as this version will work in all situations regardless of the DAW.